11 Signs You Will *Totally* Get Along With Your Mum-In-Law! 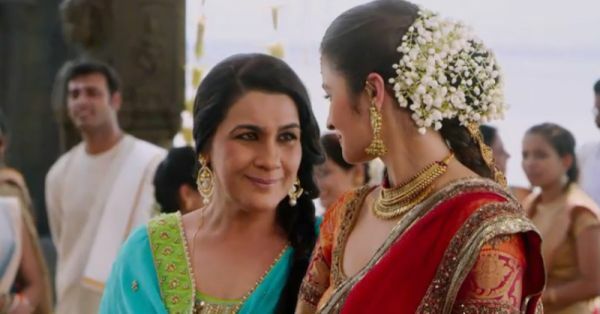 Unless you want to believe the stereotypes or think that the sasumas shown in Indian soaps are the only ones who exist, mums-in-law can be quite awesome. There may be a few hiccups in the beginning when you’re still getting to know each other, but if you are good to her, more often than not, she’ll be good to you too. Here are signs that you and your mother-in-law will get along like a house on fire. … And goes out of her way to get you something to make you feel special. Even if it is something as simple as a cake she baked at home or ordered one in your favourite flavour, just for you. As much as you are a part of her family now, she knows where to draw the line and give you your much needed space. Not meaningless forwards. But full-fledged chit-chat sessions. She also makes sure that you are a part of them, even at the planning stage. Even if it is about something fun or a pet peeve of yours. Knowing that every individual is different, she makes the effort to find out what you like and dislike, and goes out of her way to make you feel comfortable. We’re hoping you do the same. With the girls or the other bahus in her family. She respects you for who you are and that’s awesome! From casual shopping sprees to organising a family member’s birthday, you are her go-to girl for planning fun outings. Already. If she feels you have been wronged in some form, she will extend her support. Something that only you two get, and laugh uncontrollably every time it is brought up. On anything, because you know your new mommy will only give you the best.